I tell you, folks, I am chomping at the bit to visit a nursery and buy a boatload of flowers. However, this cold front came through, and now, April 1st, 2019, I’m sitting here in sweat pants and a sweatshirt with a burning fireplace. It’s cold. The good news is we have everything in the veggie garden planted. I am praying this cold snap doesn’t kill anything. I’ll post another picture when everything comes up. We planted cabbage, Brussel sprouts, cauliflower, and broccoli. This is my first time to plant those, and I have broccoli that will need to be cut soon. I just don’t know how to freeze the surplus. Guess I’ll blanch them and then freeze. So far, everything I’ve done that to has been successful. Note: The above was written 12 days ago and I’m just now getting around to finishing it. We do love our vegetables. There is nothing like fresh squash or cream peas. Yum. I’m getting hungry just thinking about them. When I cut the broccoli they were starting to bloom. Let me tell you, they were bitter. I learned that once the plant starts to bloom, it’s done. The broccoli was small and not enough for a meal. I’m not writing much. Which is why I haven’t posted a newsletter lately. I have the 3rd book in Weber, Texas series about 1/3 finished. Hidden Treasure may never make it to the publisher, but at least it’ll be completed. If someone wants to read it (as is), I’ll send it to them. No charge. I’ll feel better knowing I did finish it. I thought of what will be in the Hidden Treasure, and it will be a huge surprise to everyone. I’ve had it on my mind for some time and couldn’t figure out what the ‘Hidden Treasure’ would be. Should it be gold bars, cash, deed to the property, what? Then I thought, ‘why does it have to be a real treasure? Why can’t it be something so far out in left field’…anyway, I think I’ve got it. The recipe this month is one I’ve cooked twice and will cook it again. It’s not Keto, but I just ran around the house a couple of times. I’m sure that took off the extra pounds I gained with this Blackberry dessert with ice cream on top. This is the Pioneer Women’s recipe, and I’ll try anything she puts out. Try it, you will love it. This is my favorite version of cobbler. 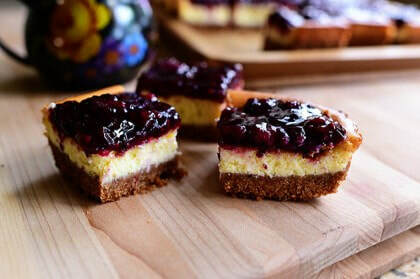 It's cakey and sweet and can really stand on its own without a creamy accompaniment such as ice cream or whipped cream. Melt butter in a microwavable dish. Pour 1 cup of sugar and flour into a mixing bowl, whisking in milk. Mix well. Then, pour in melted butter and whisk it all well together. Butter a baking dish. Now rinse and pat dry the blackberries. Pour the batter into the buttered baking dish. Sprinkle blackberries over the top of the batter; distributing evenly. Sprinkle ¼ cup sugar over the top. Bake in the oven at 350 degrees for 1 hour, or until golden and bubbly. If you desire, sprinkle an additional teaspoon of sugar over the cobbler 10 minutes before it’s done. New beginnings, new resolutions, and a new priority. Resolution #1: I’m going to stick to a diet. Let me explain. I have never had to go on a diet in my life. I have weighed between ninety-eight and one hundred and ten pounds my whole life. The problem I’ve always had was being underweight. Once, I had to drive to Dallas to get a pair of jeans I wanted in a size two. Two, that’s size 2. Now, I am twenty pounds overweight, and I’m dropping the pounds one at a time. It’s hard. I can sympathize with those who deal with being overweight. Resolution #2: I’m not going to publish anymore books. The reason for that is cost. For an author, unless they have a publisher, will spend anywhere from $500.00 to 5,000.00 plus just to publisher the words they have spent weeks, months, or years to write. That includes, but not limited to, beta readers (some charge), editors, proofreaders, a line editor, a book cover designer, printed book markers, and other advertising material. That does not include advertising, which can exceed way more than any of the above. Bottom line, it is costing me more to put out a book than I’m making on sales. That could be because the market is flooded with indie authors or my stories are not as good as some of the other authors. Being an author is hard work. Your hourly pay is pennies a day. You still have a job, children, a husband, a house to take care of, and errands to run. You live a solitary life glued to a computer, your eyes start fading, you never get enough exercise, family is neglected, etc. I want more out of my retirement than the above. Now, for my final announcement. January 17th is my birthday. For my special day, I will be giving away a complete set of one of my series. Be it an eBook or signed copies of the books. All you need to do is tell me the name of the 4th book I wrote. Leave your answer in the comments here on my web page. You can access the comments at the beginning of this newsletter. The contest will end January 20th, 2019, and the winner will be announced Monday January 21st, 2019. Now for this month’s recipe. Another Ree Drummond recipe. Love that woman. 2. Sprinkle the chicken breasts with salt and pepper and drizzle with the olive oil. Put on a baking sheet and bake until just cooked through, about 15 minutes. Let cool slightly, then shred the meat with 2 forks. 3. Roast the bell peppers and chilies directly on a gas burner (or directly under the broiler) until the skin is mostly black. Throw the peppers and chilies into a plastic storage bag and seal it. Let them steam inside the bag for 30 minutes or so. Core and seed, then scrape off the black skin. Chop and set aside. 4. In a large skillet over medium heat, sauté the chopped onions and jalapeno in the vegetable oil until the onions are translucent, 2 to 3 minutes. Throw in the shredded chicken, then stir in 1 cup of the chicken broth and 1 cup of the heavy cream. Add 1/2 teaspoon of the paprika and some salt and pepper, then add half of the chopped roasted peppers and chilies. Stir the mixture around and let it cook for a couple of minutes, then set it aside. 5. In a separate skillet over medium-high heat, melt the butter. Sprinkle in the flour and whisk it together to combine. Cook, whisking constantly, for 1 minute. Then pour in the remaining 2 cups chicken broth, stirring constantly. Cook, stirring, until the mixture is smooth, 1 to 2 minutes. Then add the remaining 1/2 cup heavy cream, the remaining 1/2 teaspoon paprika and 1 1/2 cups of the grated cheese. Finally, stir in the sour cream and the rest of the chopped roasted peppers and chilies. If the sauce needs a little thinning, splash in as much broth as you need. Give the sauce a taste and add salt if it needs it (with all the cheese, it shouldn't need much). 6. Preheat the oven to 350 degrees F.
7. Wrap the tortillas in paper towels and microwave until very soft and pliable, about a minute. 8. Place a small amount of the chicken mixture and about a tablespoon of the grated cheese down the center of each tortilla. Fold over the edges and arrange them seam-side down in a 9-by-13-inch baking dish. Pour the sauce over the top. Sprinkle the top with the remaining 1 cup grated cheese and bake until bubbly, 20 to 25 minutes. 9. Serve with a dollop of sour cream and salsa on top and a sprinkle of cilantro leaves. Remembering Christmas’s past, all of our loved ones, those who we haven’t seen since last year, or those who are no longer with us. A time to enjoy all of our new arrivals, and seeing their tiny eyes light up as they view the bright lights for the first time. Seeing the twinkle in the older generations eyes as they watch everyone’s excitement. There is an embedded memory in their head that reflects on the times they, too, sat around the brightly lit tree and sang or listened as their mother or father read the story of His birth from the Bible. Then there are those who never had the luxury of a lit tree, presents under a tree, or believing in Santa. Their families were so poor they were lucky to get a piece of fruit. That’s why we adopt an angel, young or old, for an angel tree somewhere. These people don’t know where the gifts come from. They just know someone took the time and spent their hard-earned money so that someone who normally wouldn’t get gifts would have a Merry Christmas. Christmas is to celebrate Jesus’s birth. We do that by our gifts to others. I’m going to give all of my fans a gift. I have lowered the price of the Davis series eBooks to .99 for the next 5 days. It might take Amazon a day to update the price. The Davis series is two books you won’t be able to stop reading until the end. I promise. I also have other news. The Davis Series will be the last two books I’ll be writing. As of the time of this newsletter, I don’t intend to finish the third book in The Weber, Texas Series right now. I might work on it in the future. I do hope you have enjoyed my books and they will continue to be available on Amazon. I urge you to take advantage of the two books on sale. Now, as for Christmas, I hosted our Rose City Writers club Christmas party at my house, and it was a great success. We had more food than we could eat. I think everyone got full. We laughed through a game I made them play. They thought they would have to write something, but that wasn’t the case. All I can say about these very talented writers, they sure can’t draw. Now for the recipe of the month. Because everyone was bringing dips, chips, casseroles, salads, etc., I only made a couple of appetizers. This one was simple and everyone loved it. It came from my favorite cook, Ree Drummond. Try it for your next get together. Scoop about 1 teaspoon of grated Parmesan cheese onto each cracker. 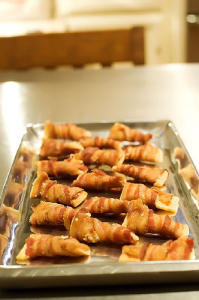 Cut your package of bacon in half (or cut pieces individually) and carefully, so the cheese doesn’t fall off, wrap each cheese covered cracker in a one-half piece of bacon, completely covering the cracker. It should fit snugly around the cracker. I’m not ready. Four months until Christmas. Where has this year gone? I have bought two presents, only because they were on sale. As far as thinking about gifts for everyone else, I have no clue. I’m not going to worry about that right now. I have to get Abducted published. It was supposed to be out in August, but there has been problem after problem. I’ve gone through it five times and was scared to check it again. I’ve sent it to the poor lady who is getting it ready to publish and, bless her loving heart, she deserves a raise. It has been a real nightmare for both of us. But with a lot of prayers, I’m hoping this is it, and Abducted should be ready for you this week. I do have some great news, though. 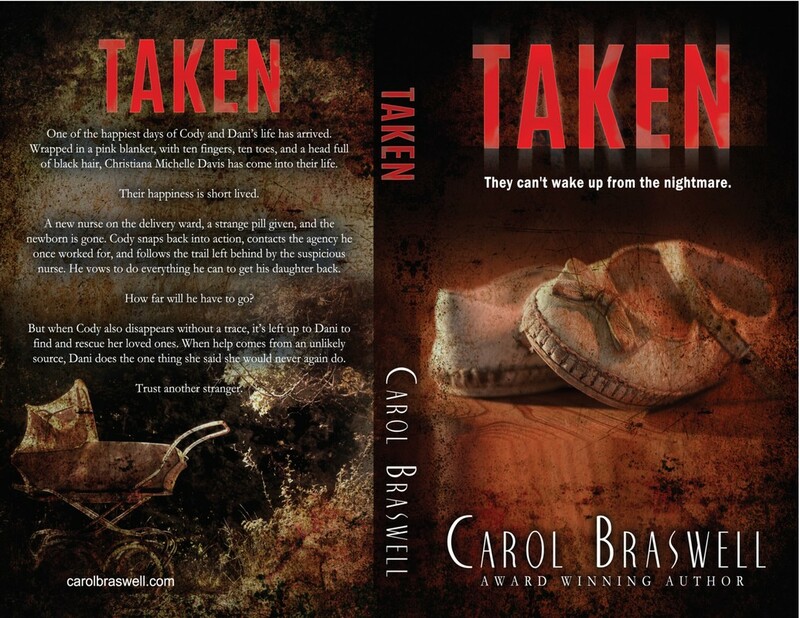 I have had several people tell me that Taken is one of the best books they have read in a while. It is the sequel to Abducted and the continued story of Cody and Dani. I have named this series, the Davis Series. Remember, I told you it was written over fifteen years ago and has sat all this time. I lost the thumb drive it was on and thought I had lost it forever. I started writing it from memory. Then I wondered if it might still be on my old laptop, and there it was. I critiqued it, rewrote it, and made corrections. It was easier than Abducted. I know you will love it as much as I do. Just be sure to leave a review on Amazon. With our small air conditioner going out, hubby having a melt-down, and trying to keep Nicholas in line, it has been a wild time. I have been so wrapped up in getting these two stories out, I haven’t had time to think about food, but I came up with a recipe from my favorite Food Network star Ree Drummond, The Pioneer Woman. It’s a KETO Diet friendly recipe, which I have lost ten pounds on. 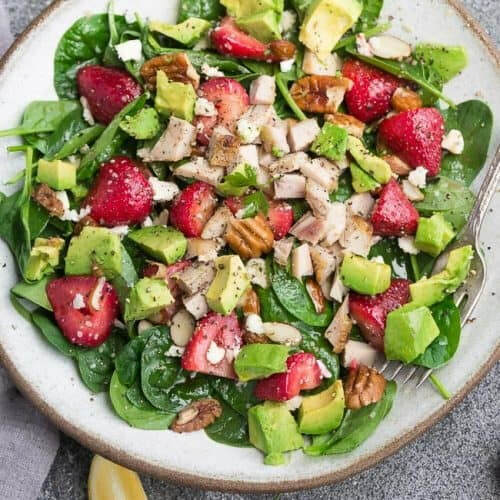 Strawberry Spinach Salad with Avocado, Chicken and Lemon Dressing made with fresh greens, creamy avocado, sweet strawberries, pecans, almonds, and goat cheese. A healthy low-carb & paleo lunch or light dinner. 1. Add all the dressing ingredients to a bowl or a jar and mix to combine. 2. In a large mixing bowl, add spinach, basil, strawberries, almonds, and pecans. Pour dressing over salad and gently toss to combine. 3. Serve immediately with more chopped pecans and crumbled feta, if desired. August is here along with hot weather, no rain, and lots and lots of fires. This past week, I passed hubby going home as I was leaving, and he told me not to go through Chapel Hill because there was a grass fire and traffic was backed up to eternity. He said I would be better off going through Whitehouse. I thought it best to do as he said and drove twenty miles out of my way to miss the heavy traffic. I missed the traffic all right and took Grande to get to Broadway. Long story short, I could have taken Highway 31 to the Loop, and it would have been closer. Oh well, I made it. Now for book news. I’m so excited. 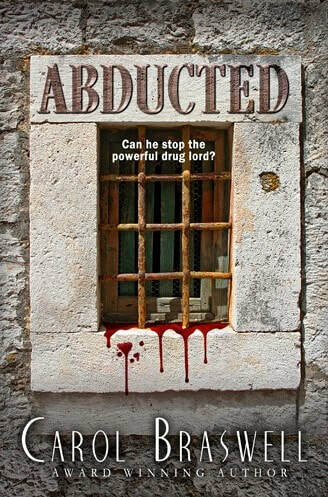 Abducted is formatted. All I have left to do is add the front matter, any back pages, if I want them, finish the cover with my designer, and upload it to Createspace. When Danielle Ward is abducted from her office in the dead of winter, she is thrown into a world of crime. On top of that, she comes face to face with the man who jilted her weeks before their wedding. She not only must come to terms with her feelings she still has for the rogue but also fight for her life against the number one drug lord in Colombia. 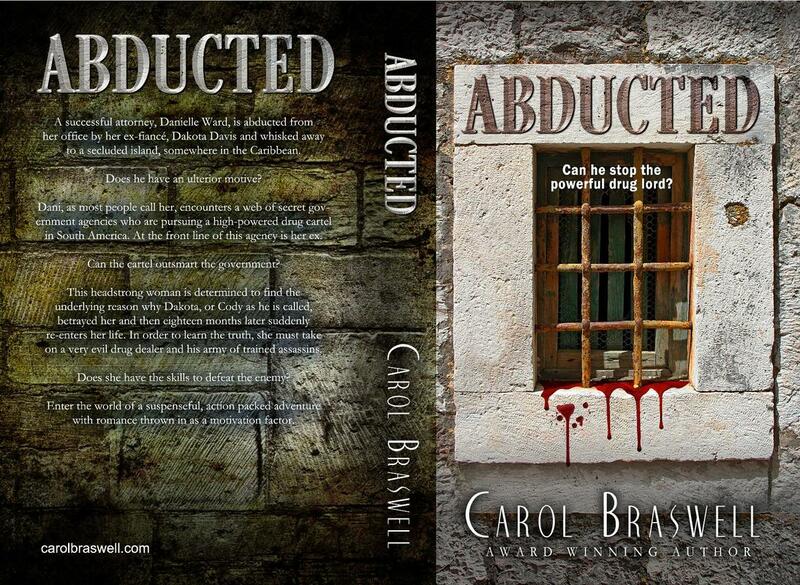 Abducted is a complete rewrite of When the Past Came Back which was written fifteen years ago. It was originally published by The Wild Rose Press and is now out of print. I’ve cut, pasted, wrote over, ran it through an awesome critique group, edited, and had it proofread. It’s now ready for you. Hope you enjoy. Taken is the continued story of Dani and Cody. This story was written right after When the Past Came Back and has sat on a shelf all these years. I pulled it up and rewrote their story. I had forgotten what a great story it is. When I reread it, I was glued to the pages. I laughed, cried, got mad, and got even in Taken. I couldn’t put it down, even though I wrote it. It will go to the proofreader this week. Within hours of Danielle Ward-Davis and Dakota Davis welcoming their first born, she is ripped from their arms and disappears. Cody embarks on a race against time, only to be captured himself. Now it’s up to Dani to rescue her husband and their child. Can she find them before it’s too late? Then there is the third book in my Weber, Texas Series. Hidden Secrets is about one-third finished. This is Olivia’s story. Chris and Grace are helping Olivia get through a difficult time when an unexpected murder, from an unexpected suspect, occurs. But a secret is hidden at the commune by the previous owner who is in prison and about to die. Who will find the secret first before the commune is torn down? I think you will like this one. The recipe this month is based on my diet. I need to lose 30-40 pounds, and I’ve been doing KETO. It is a low-carb diet. The food is awesome, and I love trying the new recipes. I think I’ve only cooked one thing we didn’t like. So keeping on track, this month is a sweet. I have tried this one and we love it. The only problem, it makes just four flute glasses, and I doubled the recipe. Guess I’ll have to double-double next time. They sure didn’t last long. Whisk together the cream and vanilla until stiff peaks form, then cover and place in the fridge. 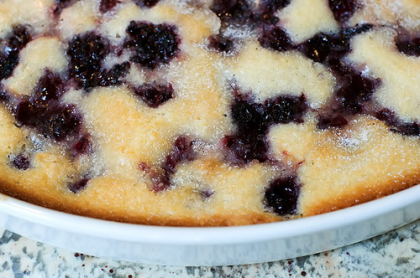 In a small saucepan, make the syrup by adding the blackberries, water, and a tablespoon of sweetener. Cook on a low heat and push down the fruit with a spoon to release the juice. After 10 minutes, press the mixture through a fine sieve, discard the pulp, and let the syrup cool. Mix together the almond flour and melted butter, then divide evenly between four small bowls or ramekins. In a stand mixer, beat the cream cheese, blackberry syrup, and ¼ cup of sweetener together until smooth. Gently fold in the whipped cream. Divide the topping between the four bowls, cover, and keep in the fridge until required. 6g net carbs per serving (one individual cheesecake) not including sugar alcohols from the sweetener. Do you realize it is just six months until Christmas? Oops. Sorry. I didn’t mean to bring that up. But July does have special meaning for us here on the hill. We are celebrating our independence, given to us by a long line of fine military men and women. They fought and died to ensure we, here in the great United States of America, could walk freely on our streets, march legally, and worship as we wish. July also has very special meaning for our family. Our first great-grandchild was born on July fourth. He is truly a firecracker of a child, too. His grandpaw caters to him, as do I, to an extent. Because it is a holiday, it is difficult to have a birthday party for him. Most families have other plans for that holiday, so, he ends up with just family. But we are large enough that he doesn’t miss the large parties. At least, not right now. He’s too young. He may voice an objection once he gets older. We’ll see. Here is that rootin’ tootin’ cowboy, in all his finery. 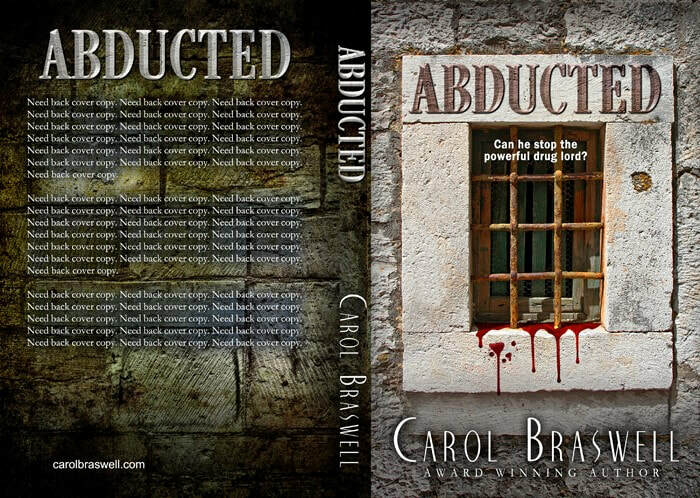 I’ve been working hard on Abducted, my next book. It is a remake of When the Past Came Back. Danielle Ward and Dakota Davis go through a whirlwind of excitement with a powerful drug lord in Bogotá, Colombia. After Dani, as her friends call her, is abducted from Cody’s hideout in the Caribbean, it’s up to him to set out to rescue her. The book should be released in July. I am revealing the cover to you. I don’t have the back cover completed yet, but I want your feedback. What do you think of the cover? I think the cover turned out wonderful. One of my critique partners suggested a window with iron bars. When you read the book, you’ll understand why. The recipe this month is one I have been making for years. I got this recipe from another woman when I lived in Arkansas. When you get off work and know you have to make dinner when you get home, this was my go-to recipe. It’s easy, quick, and ready in minutes. Cut ½ pound Velveeta and add to hot mix. Stir until cheese is melted. Tune off burner and add ½ cup half and half. Stir to blend. Serve with chopped tomato, jalapeno, lettuce, sour cream, and cheese. We like it over Frito's without the veggies. That’s right. We’ve been planning a trip to Walt Disney World since last October. There were nine in our group. We took our RV, and the rest of the family rented a cabin in Fort Wilderness Park. Disney has calculated everything down to the exact time the buses run. We were waiting on a specific bus once, and she pulled through three times before she stopped. Her reason…she had gotten ahead of schedule and had to kill some time before picking up her next group. Makes sense. If the bus is early in one spot, then it would be early at all the other stops. Didn’t make us very happy though. My family insisted I rent a scooter. Because of COPD, I am short-winded, and the scooter helped me keep up, or outrun everyone else. The only problem, we were in the park for 8 hours and the scooter only lasted on its battery for 4-5 hours. So here we are, in a ninety-minute line for Flight of Passage and the scooter conks out. Now my sweet hubby, grandson, and great-grandson push me up, up, up, to the ride that lasted seven minutes. Can you see a problem with this? I must admit; the ride was awesome. Leaving the ride, it was all downhill, so I coasted. At the bottom, I called the company, and they said they would bring me another one. In forty-five to sixty minutes. Now listen, we’re scheduled to ride another ride within that time frame, so the group went without me and Thomas. Bless his heart, my great-grandson wouldn’t leave me. I changed out the scooter three times. Needless to say, I won’t rent from them again. On our last day, all the kids went to Universal and Steve and I went back to Cinderella’s Castle. Rode one ride, watched the parade, and ate an ice cream concoction called The Kitchen Sink. Trust me when I say, it was in a container that looked like a sink and had enough ice cream and toppings to feed four people. Steve ate it all. My only complaint is the food. We didn’t eat anything that was worth eating, and it was so expensive. They just don’t know how to cook good food. Speaking of, I have us on a KETO diet, and the food is really good. One of the recipes is one I’ve been cooking for years and is always requested. So, it is understandable that I post that recipe. I call it Chicken Cheese Rolls, and I got it over thirty years ago out of a Seventeen Magazine. Of course, I’ve changed it up a bit, but it’s still delicious. Hope you enjoy it. 1. Split each Chicken breast in ½ so there are 2 breasts about 1/4" thick. 3. Mix together cream cheese, butter, and onions. Spread cheese mixture over 1 side of chicken breast. 4. 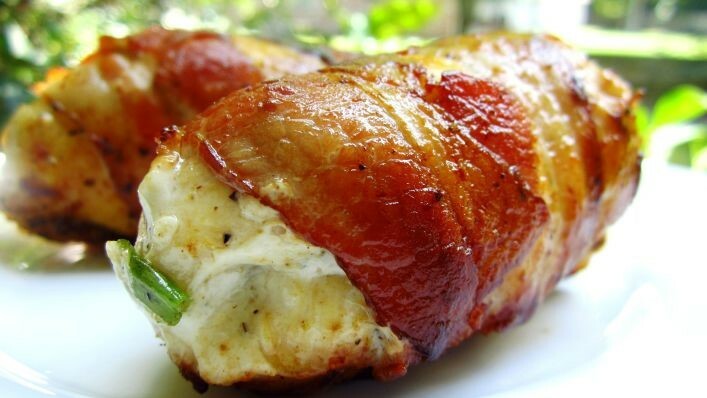 Roll Chicken breast up to conceal cream cheese. 5. Wrap bacon around chicken breast and secure with toothpick. 6. Place in baking dish. 7. Add the remaining cream cheese mixture in between the breasts. 8. Add the cooked rice to the cream cheese and bake for about 30 minutes at 375. 9. Broil for about 5 minutes to crisp bacon.